CHF16379 - EXCEPTIONAL LOCATION !! 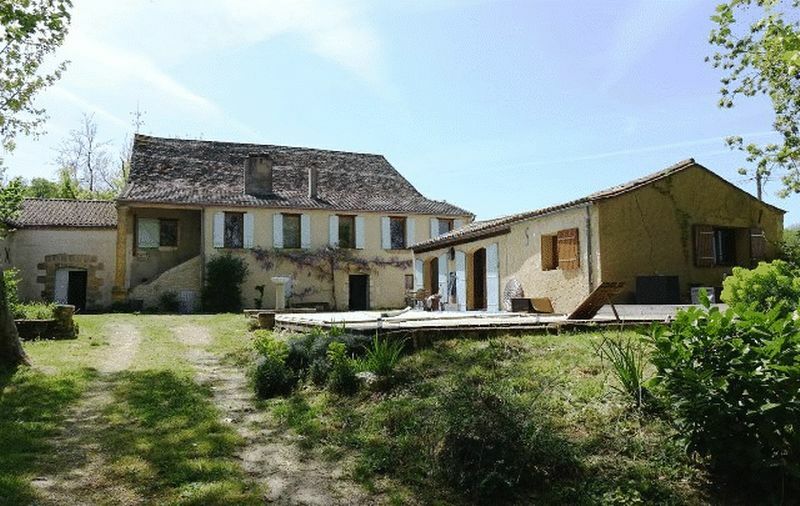 Superb character 4 bedroom authentic Perigourdine property, semi-detached to an organic Wine makers Winery. 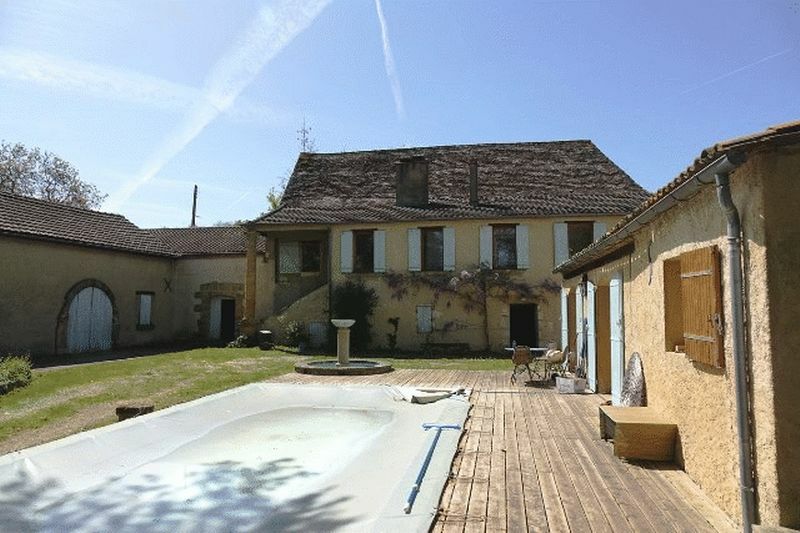 This lovely property also has a cottage which could easily be converted into a Gite, a heated Swimming Pool and benefits from lovely views over the famous Monbazillac vineyards. 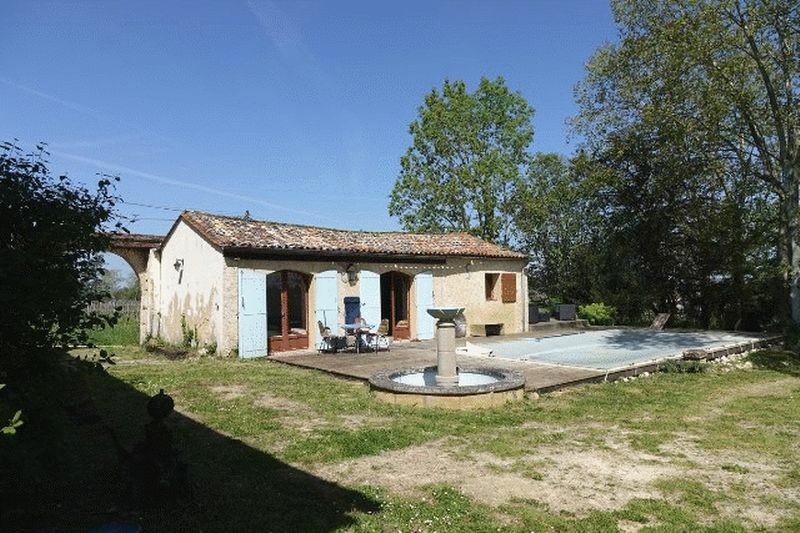 Set inb 1.2 of an Acre of Garden, there is a beautiful covered Terrace running along the back of the house and overlooking the vineyards. The vineyard produces Organic wine. In addition to the above there is also a Cellar beneath the house, a small Barn/storage room which also accesses the cellar beneath the house. A stone staircase to the house and the entrance hall. A small hallway with Bathroom and Laundry (4.5 m²) and WC. 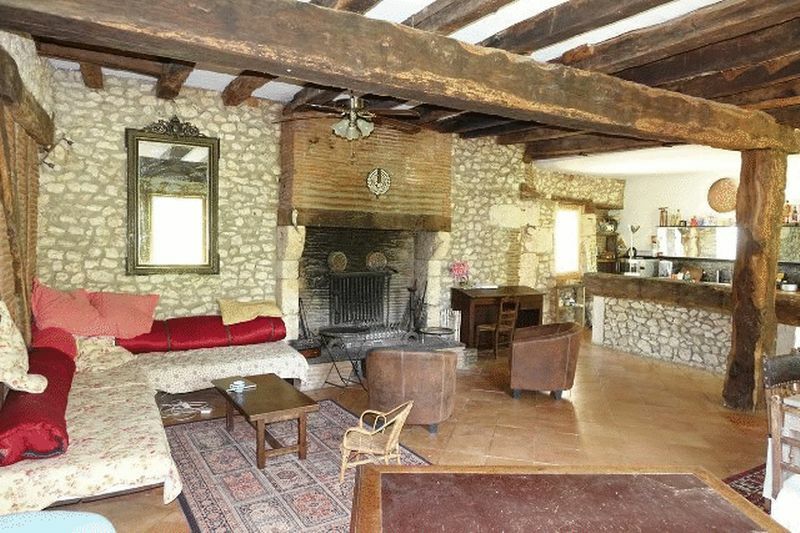 Spacious Living / dining room / kitchen (60 m²) with large open fireplace, exposed beams and stone walls. The kitchen is modern, fully fitted and equipped, open onto the living area. Terracotta floor tiles, double glazed wooden frame windows, wood shutters, oil central heating, large open fireplace, authenticity and character. A double Bedroom with en suite shower room (12 m²). 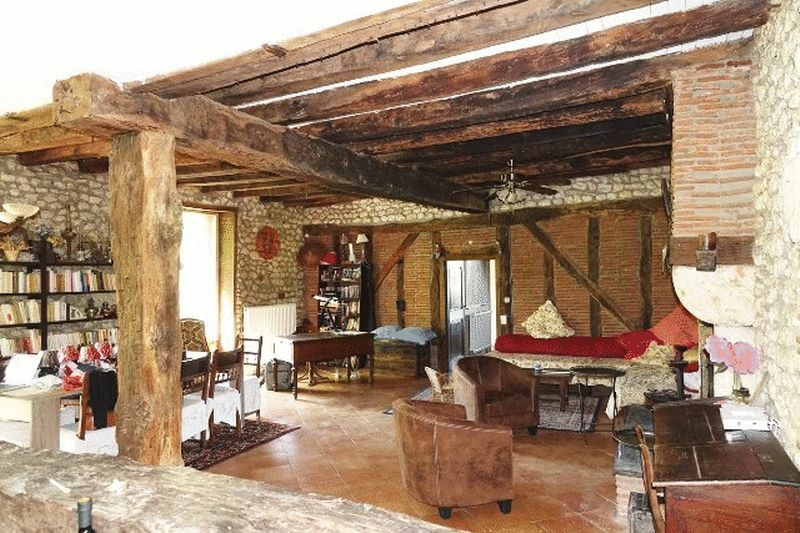 Large room / Office / or Bedroom (25 m²) with window overlooking the vineyard, exposed beams and stones, a beautiful wooden floor. Double Bedroom (9.5 m²) with original fireplace and French window overlooking the front Terrace. 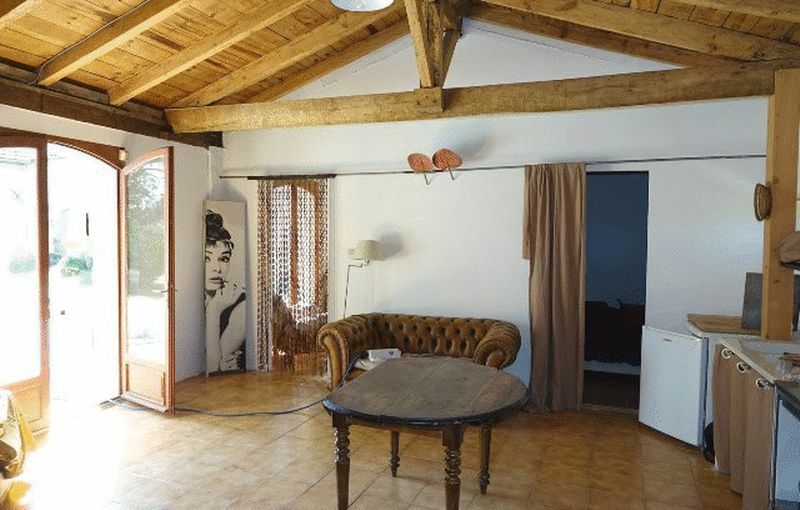 Double Bedroom (9.5 m²) French window facing south on the Terrace and views of the organic vineyard. The first floor, with beautiful oak frame timbers, is fully convertible. Under the living area of the house is a very large Cellar. A wine Cellar (32 m²). Equipment / filtration system of the pool (16 m²). A small Barn / storage room (23 m²). This barn also provides access to the cellar under the main house. 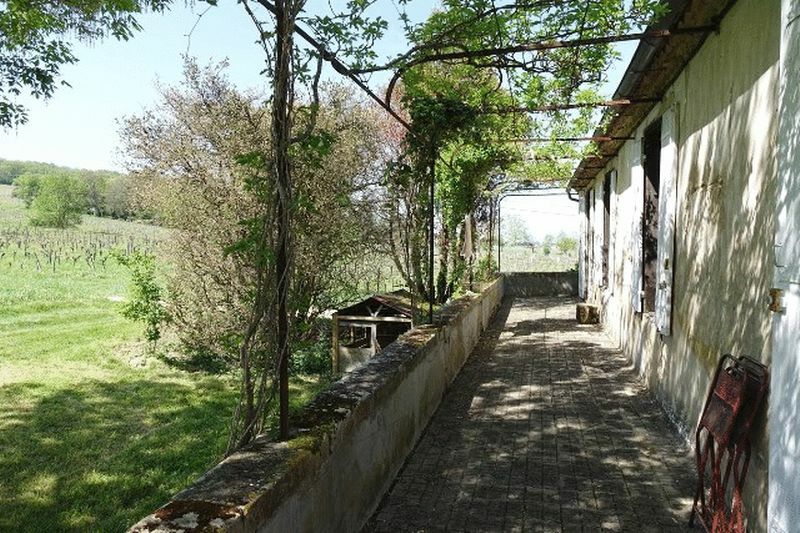 Attached a beautiful covered terrace (25 m²) with its view on the organic vineyard. 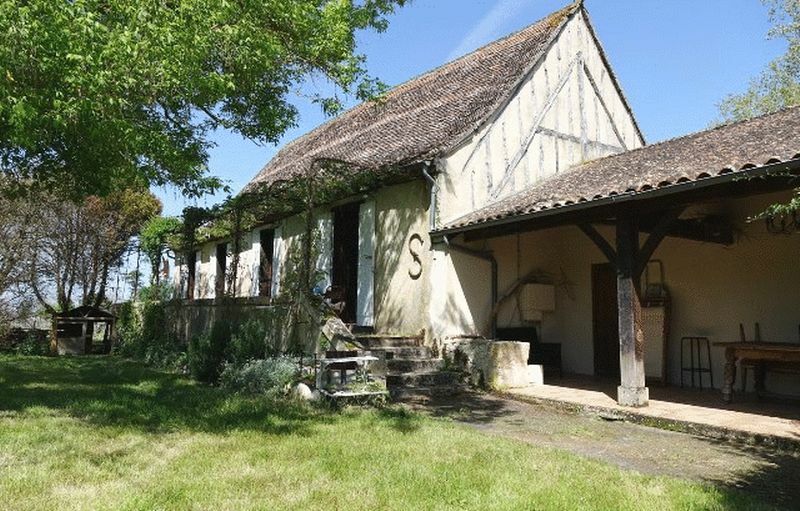 A building has been converted into a charming summer Cottage but can also be converted into a Gîte. This small barn / outbuilding is located next to the pool and its Terrace. Comprising : A living room with a basic Kitchen layout (25 m²) tiled floor, exposed wood frame (without insulation). Three bedrooms (7.5 m², 7.3 m² and 9.8 m²) tiled floors, stone walls covered with plaster, double glazed windows. Shower room (4 m²) and a separate WC. 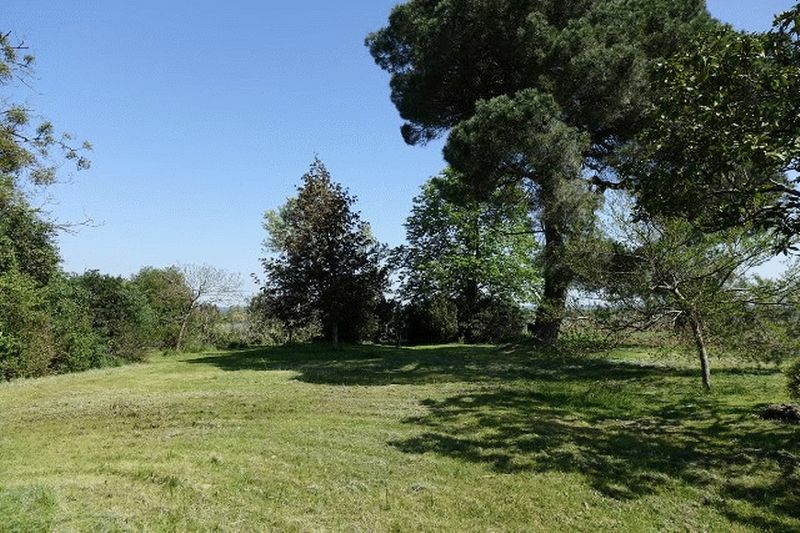 The property sits on a plot of approximately 5,000 m² with beautiful trees and shrubs including oak, cedar and other trees and plants.. 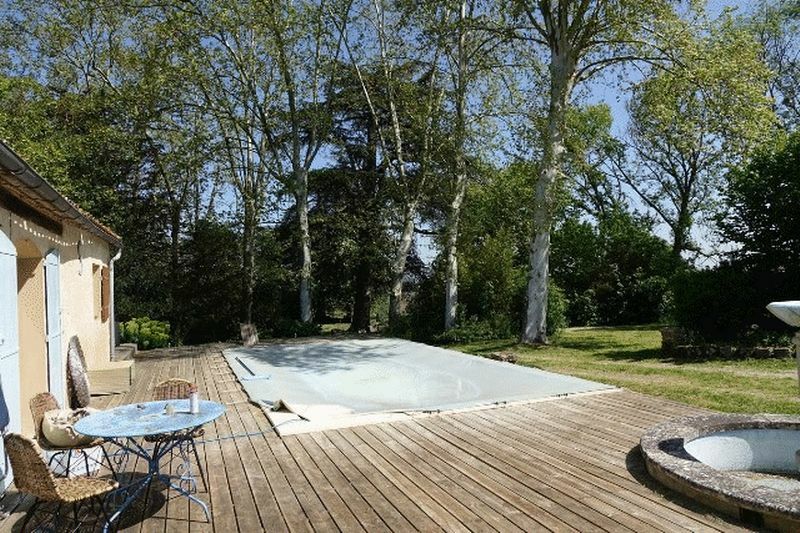 In the courtyard of the property is a heated Swimming pool with wooden deck surrounding Terrace. * The pool (8 m X 4 m) salt filtration system, equipped with a security winter and a summer cover. The pool was installed in 2012 by professionals. A heat pump has been added to use the pool throughout the whole year. A well with pump provides water for watering plants and vegetables. All the surrounding vineyards are organic.